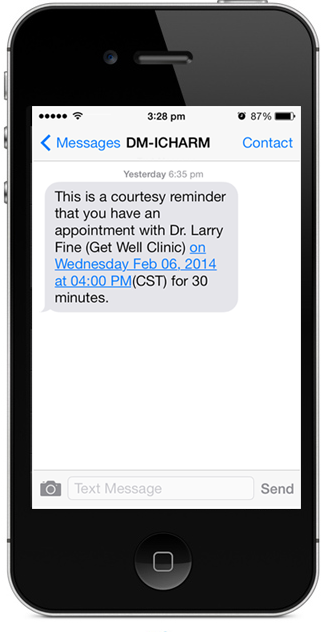 We are happy to announce the new Text Notification (SMS) feature in ChARM EHR. In addition to our existing email notification, you can now send Text Messages to your patients about upcoming appointments and many other actions in ChARM EHR. The new SMS system provides Doctors and Office Managers with and easy and efficient way to communicate with patients. Additionally, text messages are completely customizable with the option to personalize with merge tags (like $DOCTOR) to give patients the best experience. Stay tuned for some other new feature announcements coming soon!